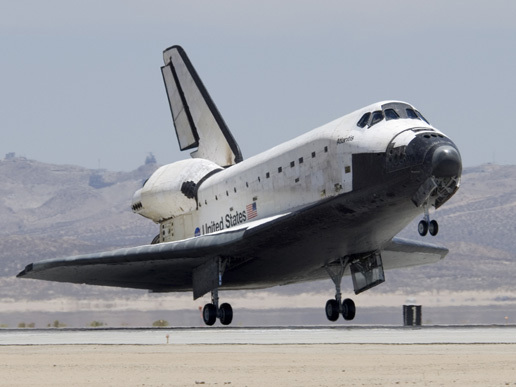 Space shuttle Atlantis and its seven astronauts took a detour across the US and landed safely in California, ending a two-week mission of construction on the international space station. Atlantis’ homecoming yesterday was the 51st time a space shuttle touched down at the Edwards Air Force Base in the Mojave Desert since 1981. NASA had hoped to bring Atlantis home to Florida, but bad weather for two days forced them to divert it to California – a move that will cost US$1.7m because the shuttle has to be ferried back to Kennedy Space Center atop a jumbo jet. Backdropped by the blackness of space and Earth’s horizon, the International Space Station and Space Shuttle Atlantis move farther apart at the end of STS-117’s mission, during which the shuttle and station crews concluded about eight days of cooperative work. 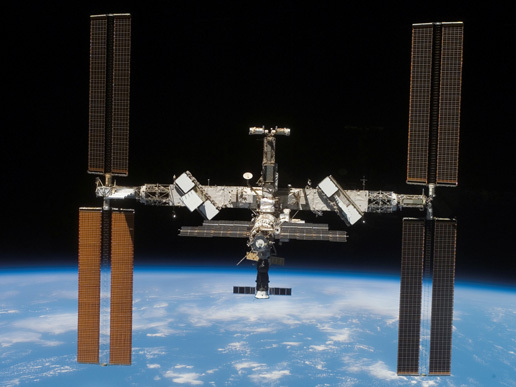 Undocking of the two spacecraft occurred at 10:42 a.m. EDT on June 19, 2007. STS-117 pilot Lee Archambault was at the controls for the departure and fly-around, which gave Atlantis’ crew a look at the station’s newly expanded configuration.